“Do Mothballs Keep Mice Away?” is the most frequently asked question readers have when looking for a way to repel mice from their home. If I throw mothballs everywhere around my house, will it keep the mice out? If you’re looking for the short answer – yes, but … (dot, dot, dot) … If you’ll humor me and stick around a bit, there are a few things you should know before you clear the shelves of mothballs to keep the mice away. Mothballs are small balls of chemical pesticide traditionally used to keep moths out when storing clothing. The mothballs you buy these days are typically made of a chemical known as 1,4-dichlorobenzene (sorry for the science lesson, this is important though). It is toxic to moths and moth larvae, so by throwing a couple of these into a small, enclosed container (as in with clothing), you kill moths off before they can do damage. Anecdotally over time, people realize that these things might do more than just kill moths, like repel snakes, mice, or other rodents. I guess that’s why you’re here though – to find out if it works – but there are things you should know before you go mothball crazy. The Department of Health and Human Services (DHHS) has determined that 1,4-dichlorobenzene may reasonably be anticipated to be a carcinogen. When you “smell” mothballs (i.e. 1,4-dichlorobenzene), you are actually inhaling the insecticide. I’ll let you do the math. Can you safely use mothballs to repel mice? So at this point, maybe you’re probably considering an alternate method for getting rid of mice, but common sense can be applied here. Are you winterizing a trailer or camper and trying to keep mice out? This might not be a bad option for you. How about a shed that you want to keep the critters out of all winter because you won’t be in there? Mothballs might do the trick, but sealing all the access points is even more effective. The key here is that you won’t be consistently exposed to the fumes, and when you’re ready to go back into these places, you simply air it out. Open the door, and let the pesticide clear the area before you take a deep breath. Simple as that. Another thing I should mention is using mothballs to deter mice is more of a preventative measure. If the mice are already there, its effectiveness is diminished. If the living conditions are unfavorable, the mouse may be driven away from settling in, but if it’s already living there, it’s probably NOT enough to uproot it. Are there better ways to keep the mice away? Top 5 Tips to Get Rid of Mice for Good! I’ve just put a box of mothballs in a large crawl space. I opened the box and put loose mothballs around the perimeter and behind a large boulder that sits in the space next to the outside wall. In the past two weeks I’ve trapped six mice in glue traps. I think they may be coming up from the foundation floor itself, which is crumbling in a few places. Do you think I need a professional exterminator? Not sure I want to or need to re-cement the whole crawl space floor. Thanks for your help. This is generally a winter time problem. I think you’ve made some steps in the right direction with your approach to dealing with your mice problem. You have a deterrent placed throughout the infested area to try to prevent mice from coming in. You also have traps set to rid your home of mice that have already taken up residence in your house. I’m not sure if you need a professional exterminator as he is going to do what you’re already doing: set traps and dispose of the mice. You’ve done what many people have trouble doing, and that’s to actually catch a mouse in the first place. Keep doing what you’re doing. If the situation doesn’t seem to have improved, then it may be good to call in the big guns and hire a professional. Since this is a regular recurring problem, you might want to try investing in a multi-kill trap. They’re a lot more expensive than the glue traps you’re using, but it’s a lot more convenient than setting and re-setting traps constantly (and it’s way more humane than the glue traps, if that is important to you). It’s actually good to mix and match traps, so deploying the multi-kill trap alongside the glue traps would be an excellent multi-pronged approach to defeating your mice problem. I hate to be the bearer of bad news though, but I think this will be a recurring problem as long as the mice have a way into your house. I’m not sure what your crawl space looks like, but if there is a way to prevent access to the space without re-cementing the floor, you should try and do that. There may also be some liquid sealant you can purchase and use on the foundation to seal the cracks vice re-cementing everything. That’s probably your best bet to keeping mice out of your home for good. Here’s a neat little trick to help you figure out where mice are coming from and going to. It’ll depend on your layout, but if you scatter a little bit of flour on the floor, throughout your crawlspace, the mice will leave tracks as they walk through it. This can help lead you to where they’re going or coming from (perhaps their nest?). It might also reveal the source (through the cracks in your foundation?). That experiment may tell you a lot about your problem, and may even give you a better clue as to how many mice are truly left. Hope this helps and good luck! Let me know how it goes. i know this is an old post but i hope you see this comment! i have mice (one at a time) running around and living in the ceiling above me. we’ve put traps inside it and got one, and shortly afterwards another one took its place and thats what i hear now. Your best bet is to catch the occasional mouse as you get it. 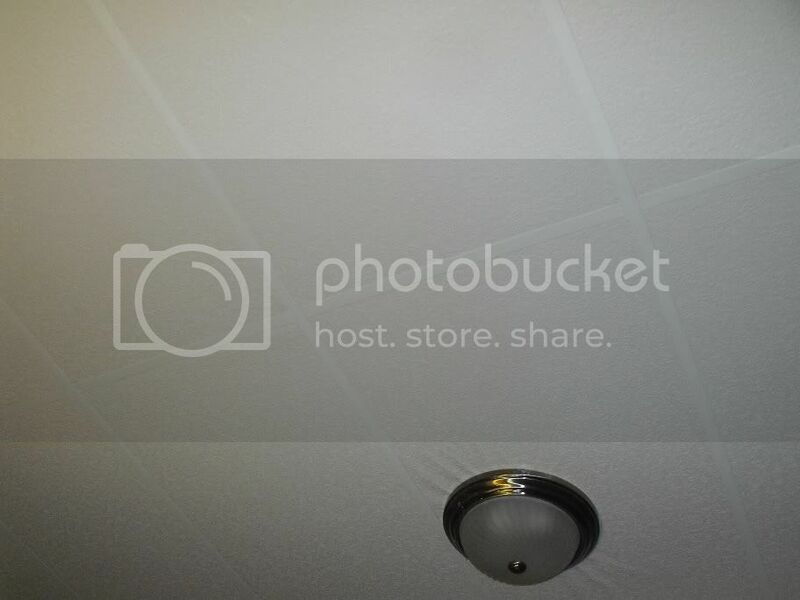 Then you’ll want to seal up any access points to prevent more from coming back. Having the occasional mouse is common. It’s important to nip the problem in the bud though. When mice start to breed, a minor annoyance can become into a serious problem. Your best bet is to leave a trap or two in the ceiling, even when you don’t have a mouse. That way you have a chance of catching it before it starts to settle in and nest in your home. Just don’t forget to check the traps regularly! You don’t want the dead mice smell showing up when you did everything right. If you want to set a permanent trap, there is a nifty design that will serve as a little reminder for you. It’s the Agrizap Rat Zapper. It’s a trap that delivers an electronic shock to the mouse, killing it instant. Here’s the cool thing, it has this little add on extension called the rat zapper tale that lights up when there’s a mouse in the chamber. You can hide the trap away, and just run the cord for this little indicator to serve as a friendly reminder. The down side about this little set up is that it can be pricey, especially since you’re looking at only the occasional mouse. The good thing is that it’s an innovative design that would last and work pretty well for your situation. Good luck with your problem and let me know how it goes! I have found that in dealing with cracks and small holes, to fill the void with Steel wool, then fillit with anexpanding foam filler. The mice would normally just chew through the foam filler, btu by first putting the steel wool in the void, the mice will not be able to chew through it and will go somewhere else. If that was their passage in and out, place the traps on the inside to risd your house of the mice. You should inspect your foundation for holes every fall to ensure you close up any voids before the mice find their way in for the winter. I recently relocated to a new apt(complex) while my old one is being remodeled. Only one week in and I discover I have a mouse or mice. I haven’t yet seen it thank God (Im terrified of them) but I have seen droppings. I have placed traps in the kitchen which seems to be where I have discovered the most droppings and most times always on top of the stove. I have been cleaning everyday and today I purchased a bottle of lemon amonia (will lemon scented work the same as regular lemon that was the only kind in stock at the store? )I decided to mop very well with amonia and water and I plan on placing cups here and there filled with amonia as an attempt to deter the creature. This is becoming quite annoying and for me very scary I hate the idea of a little rodent scurrying around my apt. Am I on the right track or is there anything else that I can be doing to get this problem under control? Please help! You’re definitely on the right track. Managing rodent problems in a multidwelling unit is a challenge. You can be doing everything right, but if one of your neighbors lives like a slob, it leaves you suffering the consequences. It truly is a shared responsibility between you, your neighbors, and your management company. First off, if you haven’t mentioned it to your landlord, you should probably let them know. They too have a vested interest in the property as mice can cause damage that is costly to repair. You’re right on track with the cleaning. That’s very important. Another thing you need to do is to seal all food sources. Sealable plastic containers work best as mice cannot chew through them. Cardboard boxes can be shredded in no time. The ammonia may or may not work … your mileage may vary. the lemon scent may throw it off. The other problem is that the range of the ammonia scent is likely fairly limited. There are better ways to get rid of mice, and that’s by dealing with the problem head on. The best deterrent is to take away their food source and their shelter, that is, seal your food, clean thoroughly, and plug any holes. If you’ve set traps and have been unsuccessful, try varying your bait. You definitely need to use peanut butter on a couple of them, but sometimes it’s helpful to use other baits (have you noticed the mice eating anything in particular? If so, use that in a couple of the traps). The other thing is to make sure you’ve set more than one trap. If you can find the ingress / egress point, seal it up. If you need to do something a little more temporary, use steel wool as mice cannot gnaw their way through it. Other than that, keep doing what you’re doing. You’re taking proactive steps to rid your apartment of mice. If you persist, you will be successful in getting rid of mice. Ok, I’ve been having a problem with mice and we’ve tried snap traps, glue traps, the mice pellets and nothing seems to be working. The mice have flipped traps over eaten the peanut butter bait and even put a snap trap in the glue trap. I have now tried putting moth balls in the ceiling panels (this is in a basement). I want them dead. Any suggestions on what if anything else I can try? We live in a Cape Cod house and the mice come in through the eves to the storage space beside the upstairs rooms. They eventually eat the poison, but leave droppings and contaminate the area regularly. I can’t see a way to seal the eves air flow space as it seems to run the entire width of the house on the front and the back. I’m going to try scattering moth balls to repel them. Is there anything else I can try? First off, I just want to mention to you and other readers that using mouse poison to get rid of mice in your home is risky business. The thing you give up when using poison in place of traps is control… that is, control of where the mice die. With a trap they die on the spot, but with poison they will survive for a while until the poison finishes them off. Frequently they will return to their nests and die, and all too often that place will be in the walls or some other inaccessible area. If that happens, you will be greeted with the unpleasant smell of decomposing mouse for however long it takes to fully dry out. I can see your dilemma with the construction of your house. It’s actually possible that these openings were done by design to allow the house to “breathe” or promote air circulation throughout the house. Sealing this completely could be difficult. I would give the mothballs a try and see how that pans out for you. The problem with mothballs is that they stink, so if you’re living in the area, it will probably deter you as much as the mice. Another thing you can try, though I’m not sure how practical it is without having a clear visual… would it be possible to build a “wall.” There’s a couple ways you can do it… maybe use some sort of steel mesh (make sure the mesh doesn’t have holes bigger than your pinkie though), and run that the length of your home. This would have the same effect as sealing it, as the mice wouldn’t be able to chew through it. Also, make sure to deny access to food sources. If they’re staying in your home, it’s because food is somewhere nearby. If you’ve noticed traces of mice near any of your food (or pet food), seal it immediately! There are many sizes of plastic containers from small to huge. Mice don’t tend to stray far from the nest for food. If they can’t find food, they’ll move on to somewhere else. I live at home with my mom. She has a mouse in her car and I am worried that if she puts moth balls in her car that it will run and then go live in places like, my car, our house, our garage. What else can we do? I recently wrote an article about dealing with the exact problem you describe: Getting Rid of Mice in Your Car. If you have any more questions after reading that article, please feel free to ask away in the comment section. Also if any of the tips or tricks on this site worked for you, I’d love to hear back. I work at a feather factory, and we use ALOT of mothballs to keep moths from eating the feathers….it reeks, and we still have mice, so NO, mothballs do not repel mice. Thanks for the feedback. I could definitely see in certain circumstances where mothballs would be less effective at deterring mice. In a large factory, there is probably areas where there is a sufficiently low number of mothballs in the surrounding area, and so makes it less inhospitable for mice. The other thing to consider is that mice are extremely adaptive creatures. If they were born around and lived among mothballs for the duration of their lives, it is likely that they’ve built up some level of tolerance. That is why I suggest employing diversity of methods when attempting to get rid of mice. What works against one mice, might not work against the next. It’s no different than mothballs. As the end all, be all of mouse prevention, moth balls are not. As a quick home solution, they generally tend to do a pretty good job. What ultimately needs to be decided is whether or not the homeowner wants to introduce this toxic substance that smells into their home. If it were my home, I would try something else, but others may find it a small price to pay if it means keeping the mice away. We seem to have a ton of field mice hiding out on our back patio and garage. I saw about 10 baby ones running around behind the dog house and eating the dog food! They didn’t even care that I was right there! Needless to say I am worried about them multiplying like rabbits and the droppings are all over the patio and no matter how much we clean it up and move the dog food, they won’t go away. We tried the glue traps and bait traps and poison pellets with no real success. We even watched one squirm it’s way off the glue trap and take off!! Ugh!! We have tried to eliminate all the floor storage in the garage to overhead storage to deter them from being in there but hasn’t helped either. 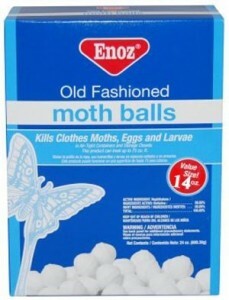 Someone suggested the moth balls but are they safe to use around the outside of the house and in the garage? We spend alot of time in our garage as part of it is turned into a sort of sports area with a tv and fridge basically a guys hang out and since we live in such an extremely windy area that is pretty windy all year round, we really don’t spend much time in the back yard patio but the dogs are there and the BBQ also. Please let me know what would be the safest and best way to get rid of these pesky lil critters! I hate the thought of killing them and would rather just run them out of my yard and garage for good! Thanks! You’re definitely doing all the right things. You really need to aggressively attack the problem with multiple traps. For a problem as extensive as you’re describing, you need to deploy at least 6 traps in the area… maybe more. I’m not a huge fan of the glue traps. For one they are cruel, and two sometimes a mice can work itself free. Get the snap traps. I usually recommend the Snap-E Mouse Traps. Compared to the basic wood trap you might be used to, they’re a little pricier, but the quality is worth it, and it’s extremely easy to clean up the dead mouse. I’d also consider purchasing a multi-kill trap. The downside is they cost a lot. I wrote an article about the victor m260, and you can see if that makes sense for you. The nice thing about them is they are best against a lot of mice because they can catch a lot of mice. With respect to the mothballs … given what you’ve described, I wouldn’t use them… especially with a pet. Mothballs are toxic, and your dogs may find and eat them. The best way to get rid of mice is to keep doing what you’re doing … eliminate the food source, and take away their shelter. The only suggestion I have is to ratchet up the traps… keep using the glue traps, but you need to augment with the snap traps and consider the multi kill. You can definitely do it with the snap traps alone, but you’re going to have to keep checking them and cleaning them. Hopefully this helps, and let me know how it goes! Well I don’t have a pet but they are tilling a large field behind my house causing the mice to migrate towards my house. Would the moth balls still work if I scattered them in my yard to try and deter them from my home completely? Or do they have to be inside my home to work best? My wife & I live in a single wide trailer. We have been experiencing our share of mice here lately. I have just regular traps deployed now & was considering tossing just a couple moth balls under the trailer. But I’ve read in your other answers where you say they can be dangerous. So I wanted to know if using the moth crystals was just as bad. Also what about boric acid? In addition I was curious about those electronic pest deterrents that you just plug in the wall & they’re supposed 2 run mice off. Now I know I have 2 fill in holes which is y I have 2 go to the store to get some Great Stuff & some steel wool. Thanks for any info you can give me. My wife & I live in a single wide trailer. I have standard traps set now for the mice I’ve heard. but I wanted to know if the electronic devices that plug into the wall are any good for keeping the mice out. I also was considering just a few moth balls under the trailer or maybe moth crystals. Well on my way 2 the store 2 get some Great Stuff & steel wool to fill in the holes around pipes in the floor. I heard scratching in my heat ducts, so I dropped some mouse pellets down the vents. Now people are saying my house smells like mothballs. Can this be from the pellets? And if so, how can I get rid of the smell? Put an open box of baking soda in each room for about a week..the smell will be gone! The mothballs can be effective at deterring mice. The primary hazard is if you have pets or small children. Since they are toxic, if a child or pet ingests them, it could result in them getting ill. Also if you’re throwing them outdoors, it is possible that other animals could eat them and get ill. That’s the main concern. As far as boric acid goes, that’s typically something used to get rid of ants. I don’t think it’ll do a whole lot to mice. There are other chemicals that are effective against mice. I tend to advise people to stay away from poison however. You lose control of where the mice may die, and there are numerous people who come to this site regretting the fact that they used mouse poison. Typically a mouse will return to their nest (which could be in your home) and they die. Often times this is in the walls or is inaccessible, and so they start to rot and smell horrendously. If you can, stay away from the poison option. Electronic deterrents… they are good and bad. I say this because frequently people will plug the ultrasonic deterrent into a plug behind the couch and wonder why it doesn’t keep mice out of the room. The deterrents are only effective up to the range that the sound waves can travel. If you stick it behind a couch, the couch absorbs much of the sound energy, and diminishes its effectiveness. It needs to be placed somewhere that it can do its job. If it’s stowed away behind a bunch of stuff, it doesn’t stand a chance. I tend to recommend a multi-faceted approach to getting rid of mice. Take the preventative steps, plugging holes, sealing food, etc… set some of the standard snap traps. If you can, set one or two of the ultrasonic deterrents. The less friendly your home is to mice, the more likely they will move on to the next place. Hope this helps. If you found this site useful, I encourage you to recommend it to your friends who may be experiencing mouse problems. I encourage you to read the articles I have posted on this site. There are numerous tips for getting rid of mice and steps to take. In your situation, it sounds as if the problem may be getting out of control. If you think that’s the case, I strongly suggest that you hire a professional exterminator to help you bring it back under control. Once it’s under control, come back to the site and check out the preventative measures to make sure they don’t come back. In short, the mice are there for two reasons: your home provides both FOOD and SHELTER. To get rid of mice, you need to take one or preferably both of these away. Seal up food sources. Make sure your home is *very* clean. Any of the smallest crumbs on the ground or in the back of the cabinet are sufficient for mice to survive on. Set traps to make the area inhospitable for mice. Check them several times throughout the day. A trap that isn’t primed to catch a mouse is a waste. Use peanut butter as bait, and maybe bait a couple with cereal (or whatever it appears the mouse in your home are eating). Hope this helps, and good luck with your mouse problem. I live in a converted mobile-home-to-modular-home situation, meaning that everything about my house is, in essence, a “house” except that it is still raised above ground, and underneat is a dirt crawlspace. I seem to have a problem with mice. I have placed traps and caught many many mice, making sure I am placing them in well-known entry points, but they keep coming. I now have one of those electronic devices in a couple rooms in the hose, and traps elsewhere, but they keep finding a way in from underneath. I’m not sure how I would use peppermint oil, but I have moth balls, and plenty of them. Would it be safe to place them in the crawlspace, directly on the dirs, in all four corners under the house? there is no access from the outside for any of my pets, and at least 3 feet between the dirt and my floor joists. And if so, would only placing them in the four corners work, or should I actually place one or two or four in “spaced incriments”? It’s definitely worth a try… if the place where you want to throw the mothballs is as isolated as you describe (with the exception of mice), I don’t see how it could hurt. Ultimately, the effectiveness of the mothballs will depend on the environmental conditions and the mice you have. If a family of mice is already living there, it may or may not be enough to get them to “pack up and move.” Also if the area is drafty and the scent gets carried, they might lose their effectiveness as well. The most effective mouse control technique is to use traps, which it sounds like you’re doing. Also try to eliminate their food sources. Store everything in sealed plastic containers. If you deny them food, they will have no choice but to move on. All good info and wish I had seen it earlier. I had a problem with squirrels. I have a hole in my garage ceiling and threw a couple of moth balls up there (seriously just 2). It’s not above the inhabited part of the house, just the garage. I won’t be doing it again because the garage already smells of mothballs. It seems to be a “good” area for rodents as I have had to pay exterminators twice to get rid of rats. A family member suggested throwing mothballs up there so that is what I did. Do you think we’re safe inside the house? I don’t smell the odor in the house just in the garage. Obviously they are potent if I just threw 2 up there. As you’ve probably read, mothballs are not good for your respiratory system. Based on what you’re describing, you’re probably going to be ok though. Mothballs are effective specifically because of the gases that they put off. Of course those gases aren’t good for people to breathe either. If you’re truly concerned, it may be worthwhile to retrieve the moth balls that you threw up there. Here’s what I recommend for you … You’ve identified an area that is frequented by small rodents. Usually that’s the hardest part for a homeowner … figuring out where the rodent is getting in. My recommendation is simple: patch the hole. It doesn’t have to be anything fancy if you don’t want it to be. Some steel mesh over the hole will do the trick … I say steel mesh because mice won’t be able to chew through it. It’s simple, cheap,and effective! A helpful tip for future readers who may attempt using mothballs to rid their home of mice … don’t just throw them in the attic mixed in with the insulation. What you’ll soon find out is that the fumes from moth balls are heavier than air, and will eventually start “falling” down into your living areas. Eventually you’ll want to remove them from your attic. Instead of just throwing them in the attic, put them in a plastic container. That way when you’ve “treated” the area, you can quickly and safely remove them … especially if the fumes are bothering you. Grabbing a container from the attic is definitely a lot easier than fishing through your insulation. Mothballs are a double edged sword … they’re pretty good at doing the job, but depending on the situation, there may be safer, yet still effective, alternatives. Jim, you are very knowledgeable! I live in a Condo and have caught a dead mouse every month since August, so I started to get frustrated because I have been plugging holes but it seems as if the mice are multiplying faster than plugging the holes, but what i recently discovered is where the hardwood meets the wall, there are open spaces, so Today the guy at home depot suggested crunching up moth balls and putting them in the walls and some steel wool and the foam filler, it will prevent them from chewing through the foam filler. He also advised, changing the bait from peanut butter to Jelly to Bacon Bits from time to time because once mice get adjusted to the bait they stop biting. But pretty much, my condo looks like a Mice War Zone, I have glue traps in front of the kitchen so the only way in or out is on a glue trap. and My front door had to be resealed with Weather stripping. Apparently, my neighbors have a mouse problem as well. So I’m hoping to keep them out of MY place at least. Your website was very helpful as well! I appreciate the compliment and the great tips. You’re right about switching up the bait every now and then. One of the things I try to stress when catching mice is diversity in your methods … if you take a multi-pronged approach, your likelihood of success is greatly increased. One of the problems with multi-dwelling units is that your neighbors need to be actively participating in the war campaign against mice too. As long as the mice keep finding food, they’re going to stick around. By sealing off every possible access way to your unit, that’s about the best you can do in a situation like that. You’re essentially creating a fortified bunker to keep mice out. Best of luck in your war on mice! This has been an interesting and helpful read. I hate mice with a passion,so when my wife tells me she heard something in the attic while i was on business trip,i was not very happy. I live in a three level split in canada. So far it seems that they are only in the attic. Our attic is all dead space. When you poke your head through the hatch, its just the rafters. The floor of the attic is just loose insulation. I need to get up on the roof and try and see where they my be getting in. So far i’ve put warfarin rat poison up there and it has worked already. Ive seen on dead mouse about 8′ feom the hatch and the warfarin bag has been chewed into. The nice thing about warfarin is that it driea the mice out quick so they dont stink. I’ve also considered morth balls but nor sure yet. I also tried a 5 galon pail of water with a ramp up to it. But when i checked it was frozen solid (yay for winter). I think mouse traps would be hard to work up there brecause there’s no real place to put them on the loose insulation. How would they be getting in my attic? There are no tres by the house. Can the scale a wood siding exterior wall? Any input on getring rid of them and dealing with them in the attic would be much appreciated. To answer your question about how mice get into your attic … Trees could be one method, but when you think about it, mice are pretty amazing creatures. They are actually able to scale vertical walls, so a wood siding exterior sounds like they might be right at home. They can jump more than a foot into the air, and they can even fall eight feet without experiencing any sort of injury. Mice are extremely agile. It’s also possible for them to climb across electrical wires, so if those are running to your home that’s another potential avenue. I generally tend to recommend against the poison route … even the ones that dry mice out quickly. It only takes the smell of one dead mouse to ruin your day, week, or month for that matter! What could be even worse is if they work there way into your ventilation system to die there … I don’t care how fast the poison claims to dry out the mice, that rotting carcass is going to spread some nasty fumes into your home. I prefer the idea of controlling where exactly the mice takes its final breath! One idea for setting traps up there is to try and identify where the mouse tracks are … they tend to run against walls, so you will see grease marks. Mouse droppings are another tell tale sign of where the mice may be. When you’ve identified that location, maybe try pushing some of the insulation to the side in order to set a mouse trap along one of the beams where they’re running. If the beams are exposed, see if you can figure out along which the mice are running and set traps there. Ultimately, the best way to get rid of mice is to never get them in the first place. If you can figure out where they’re coming in and plug that hole, you should be set! Thanks for sharing your experience. I’d argue no method is fool proof, but it’s important to try different things until you find one that works in your particular situation. Some people report success with this approach, and others don’t. In an attempt to prevent or rid your home of mice though, it’s good to know all your options. That being said, if the method has not been working for 6 months, then I hope you’ve tried other approaches for dealing with mice. As a general rule, a method should be working almost immediately. Most mice are caught on the first night or two and the effectiveness of traps decreases with time. This may not be the case in your situation, but if it’s been a week or more and you haven’t caught a single mouse, then something’s wrong. Try changing your bait … move your traps … buy different traps … change something. It’s not uncommon to get a mouse or two, especially if your home is near a field or place where mice are numerous. If the mice are multiplying though, you need to do more to combat the problem. If the mothballs aren’t working, do something else. Don’t let the problem get worse. Increase the number of traps, re-check your home to make sure it is impervious to mice, trying anything is better than doing nothing… Going back to the basics (eliminate shelter, eliminate food source, seal access points) will always be your best bet. Thanks again and best of luck ridding your home of mice. I have a large infestation of mice and peppermint oil does NOT work. They actually played with the cotton balls which was wet with peppermint oil!!! In fact, nothing has worked. well I have caught a few mice with the sticky mouse glue traps, my problem is that I dont see them going away b/c I believe they are coming from the heater vents along the floors, what can I do? Now that it’s getting warmer outside, it’s a good time to survey the outside your home. Try to identify potential ingress and egress points for the mice. When you identify holes or cracks, make sure to seal them. Mice are also avid climbers, so it may be more than just around the foundation of your home. This is probably the most important, and also the most difficult. The other thing you need to do is keep up with the traps. It sounds like you’re doing that, but just make sure you don’t fall behind. It’s not at all uncommon to have the occasional mouse. There’s not a whole lot you can do about that as we tend to live in close proximity to their habitat. A mouse or two isn’t bad. What you’re really trying to prevent is nesting and breeding in your home. Get rid of and seal any possible food sources. Keep setting traps to manage the population. Now if they’re in your heater vents, there’s a good possibility that they could be nesting. If you suspect this is the case, there are services that can inspect the duct work in your home. I’m not sure if you’re in an older home, it may be a worthwhile investment to get your duct work checked out. Older homes are especially susceptible to mice in the duct work because of the way things were done. One last idea … you can try those ultrasonic devices that emit a high frequency noise. I’ve heard very mixed reviews about them, but the most important thing the recognize is that their effectiveness decreases with range. If the sound is not reaching the mice, then it’s not going to deter them. thanks for the info Jim, this is a very old house, I don’t own it, and my landlord is a slum lord, hopefully when my lease is up in august I will be able to move..so I guess I cant do nothing about the duct problem, I will keep up on the traps and try to buy a few of those ultrasonic devices..Another question I have is, do they crawl on you while you are in the bed and bite u? I’m just curious b/c I don’t want one of them in the bed with my kids. I have to say, I really don’t know that I have a good answer for you on that one. I have had a commenter state that their mouse problem was so bad that they’ve seen mouse droppings in their bed. I was under the impression that this person had a full blown infestation. I’m not sure that mice in the bed is a common problem that needs to be worried about when there is a mouse or two, but it should serve as a reminder not to let things get out of control. You should be able to see signs of the mice and where they are at … for example, they tend to stay along the baseboards of the wall, so check for rub marks (dirt / grease smudges). Also if you see droppings that’s a sure sign of mice… any sort of gnawing or shredded paper… probably mice. If you really want to see if mice are gallivanting in the bedrooms, one little trick is to get some flour and spread it thinly on the ground where you suspect the mice may be. You should see mouse tracks start showing up if the mice are running through that area. That’s also a good indicator that you should set traps along their route. I hate these idiots because they are smarter than I am. I feel defeated irrespective trying to use nice methods to get rid of them. Now I have decided to kill them. I have a bit of guilt because I will use poison to kill them. I tolerated this one rascal that knows I have no food in the kitchen (bacause I have sealed everything)but still insists to come every day (for the last 5-6 days)have a walk and leave the droppings and worst the urine -OMG. i have to wake up and clean everyday. My instinct says this fellow will continue to be like this no matter what I try therefore why wait more? This started with the liking they had for soap- now i seal it also. I bought an electric mice repeller from lowe’s. That seems to have worked on this one mouse that would eat away the bait and escape from a humane mouse trap. Even bit into a plastic mouse trap and escaped after being cought. can someone tell mothballs in a tent trailer put away in winter storage. Hi, we have had an unwanted visitor(s) for a few weeks now. I found droppings under my kitchen sink. We think to have found it’s entry way, and have used steel wool to block the holes, with steel mesh and that foam that expands and get hard once it dries. We put inside the wall where we hear it at night, little bags of ratoxin, and we saw it running along the piping from the garage. It bit on the poison as we can see the little bag were chewed up… We also dropped some moth balls between the walls and close up the little opening under the kitchen sink with steel wool…we also saw that one time we saw mickey, where it ran to hide between the walls from the garage, but we can’t close that area tight because of different electrical wires that goes up through that opening….we installed glue trap, rat/mice traps and poison in the garage but this thing still is alive as of last night…it played with the moth balls as if they were soccer balls!! What are we doing wrong? I don’t know if it is only 1, or 2….we suspect only 1 has entered, but we may be wrong. The dropping i found were only 4 looking like small olive pits. Please help….i am at a loss why it doesn’t bit nor die. How long can it? I live with woods behind my house so I tend to get field nice every fall/winter. I starred putting mothballs around the perimeter of my house outside…..guess what??? My mouse problem was solved. No inside smell from the mothballs and no more mice. Hope this helps. Have you had any exprience with peppermint oil? I have mice above my drop ceiling, and have sealed — though some points of entry still must exist. Bait bars are mostly untouched, glue boards have been only minimally effective. I just applied peppermint oil to cotton balls, made a peppermint oil/water mixture and spritzed it above the drop celing, and boiled a peppermint oil/water mixture for upwards of a half hour. Have you had any firsthand experience with any of these methods? I have mice in my garage and I am successfully trapping them. However my concern is if I were to use moth balls would that drive them into my house. They seem to be exiting a crack in a storage area I have with shelving, I havent noticed any inside the house but like I said, I am concerned about driving them into the house. i live in a pretty old single wide trailer with my boyfriend. there is a field behind us. we have a pretty bad mouse problem. they were getting into our bread so i quit buying bread until i finally found one of those plastic bread containers. we set glue traps when we first noticed a problem and caught several. now we aren’t catching any. a few weeks ago i was cleaning the drip pans from the stove. there were clumps of insulation under the cooktop. a few days later when we used the oven there was a horrible smell. my boyfriend said it was just the insulation. i could not bare to be in the house and refused to eat what we had cooked. fast forward and we continue to notice insulation poking out of the cooktop and bits fallen on the floor. finally my boyfriend pulls the entire stove out and takes it apart to find MULTIPLE DEAD MICE THAT WERE COOKED ALIVE in the insulation of the stove. that was the god-awful smell!!! he is ordering this special stove insulation made from steel wool or something and is having me pick up some moth balls. i think he is going to put them in with the insulation. we have a german shephard and he has a 3yr old son. i have been refusing to cook or eat at home because of the mice. I’m not sure I would recommend throwing mothballs into the insulation of your stove. I can’t exactly visualize what you’re planning, but I’d be concerned the mothballs may heat up and release toxic fumes. The steel wool in the insulation should be sufficient to prevent mice from passing through it. Mine isn’t as obvious. I havent seen any droppings or anything of that nature but last night I heard one and I heard it shuffle across the hard wood floor. This is the secind night and we’ve sprayed ammonia and we placed moth balls all over the house. I hope it leaves! *fingers crossed* Btw thanks for posting this. Hi, Your site has a wealth of information. Unlike many of your writers, I really don’t have a desire to kill mice or have them suffer–they just can’t stay in the house. We have had several humane traps and are working — some more than others. Meanwhile we are plugging up holes. Do you have any recommendations about the best humane traps? Are there any no-toxic repellents we can use? I did write this post on Humane Mouse Traps. The Smart Mouse Trap seems to be very highly rated. As far as non-toxic repellents … some people claim peppermint oil can be used to get rid of mice. People report varying degrees of success, but I’d love to hear what works for you. Another thing I’ve heard of is using granulated fox urine to get rid of mice. It works on the premise that mice sense their natural predators in the area, and avoid it. I believe I have nice in my car. Do you think putting moth balls and dryer sheets would get them out? I’m desperate. I’m not deathly afraid of them but I don’t wanna see them while I’m driving either. I also believe that they’re in my dash board in the section where the air comes out when you turn on defrost. I have some hard plastic tubs/bins that I’m going to store items in for a couple years at a friend’s house. My friend has mice mainly due to neighbors who don’t clean well…inside or out. These bins will be in her office but we can seal them pretty well with snap on tops and duct tape. What would you recommend putting inside the boxes to deter mice from even trying to get inside them? And…do they even chew through plastic? I live in the country in a newer home (10 years old), but the older home next door was respossessed by the bank. The contractors that came to do work for the bank said that the barn was full of mice – the worst infestation they had seen. They said the mice would likely head to my house once they finished cleaning the barn. What do I do? I have no livestock, but have dogs, tons of birds, and 4 gardens. Please help! here’s a note about peppermint. it DOES work. however, because it’s natural, it fades. so you need to reapply regularly. it doesn’t kill mice, it just keeps them out of the places you want them out of. you can get tincture of peppermint at most health food stores, then dilute it with water. spray where you have seen them. spray openings in the walls and floors. spray doors and windows. enjoy the smell. repleat twice a month. I am starting to prepare for my trip to FL for the winter. Last spring when I returned my house was infested with mice. I caught or disposed of almost 40 mice. (some had long before bought the farm and were mere shells of their former selfs). I cannot go through that again this year. I would liberally dose with Decon – except I have 3 cats and 3 dogs who go with me to FL and I wouldn’t want to take a chance they would get into it on our return. My house is one store on a crawl space (which I cannot access – too old for that) I kinda like the smell of mothballs – but is anything going to last the 7 months I am gone. I do not mind hiring someone to come in every few months to replace either the peppermint oil or the mothballs. Which do you feel would work more effectively? How can I get rid of mice from entering my bbq ? The best thing you could’ve done to prevent mice is to use the spray foam to seal any entries to your trailer. It definitely won’t hurt to throw some mothballs under there as an extra deterrent. 1) So you found where they’re coming in … if you can’t seal it permanently with caulk, get some steel wool and plug the hole. The mice can’t chew through the steel wool, so it should be an effective barrier. 2) Continue to set traps… not just one or two. You need to set a lot of them and check them daily – more frequently if you’re still catching a lot. A trap that’s been triggered is just going to be a future food source for its friends. Even if you do all these things right, you still might not eliminate the problem completely. It sounds like you’re in a multi-dwelling unit, so you’re probably not the only one with a mouse problem – your neighbors have one too. They need to be just as diligent as you eliminating the problem. If your landlord isn’t helping out, maybe talk to your neighbors and see if they’d be willing to chip in for an exterminator. If they don’t have them yet, a mouse problem of the magnitude you described is not likely to stay contained in your home alone. It will find it’s way to the other side of that wall, and then you’ll all be in worse shape. Hope this helps, and best of luck taking care of your mouse problem. Let me know how it goes.